This is a wall mounted unit that we installed for a residential customer. From start to finish, the took one day to complete. 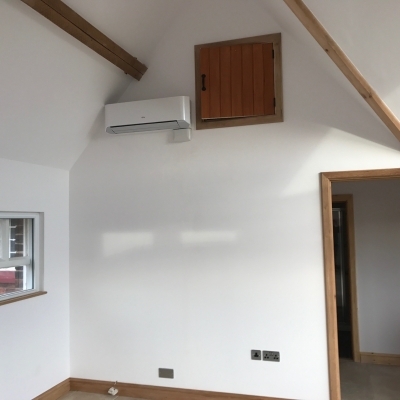 The unit will heat aswell as keep the office cool as the customer requires. This is seperate to the central heating and can be controlled independently.